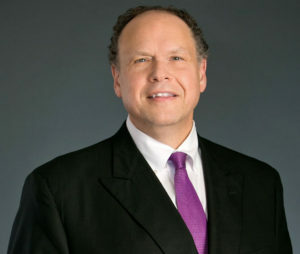 H. Michael Steinberg has been a Colorado Criminal Law Specialist and Colorado DUI – DWAI Defense Lawyer for 30 years (as of 2012). For the First 13 years of his career, he was an Arapahoe – Douglas County District Attorney Senior prosecutor. In 1999 he formed his own law firm for the defense of Colorado criminal cases. In addition to handling tens of thousands of cases in the trial courts of Colorado, he has written hundreds of articles regarding the practice of Colorado criminal law and frequently provides legal analysis on radio and television, appearing on the Fox News Channel, CNN and Various National and Local Newspapers and Radio Stations. Experienced DUI – DWAI Defense Practice – Have You Been Accused of Driving Under the Influence In Colorado? If you or a loved one have recently been accused of driving under the influence of drugs or alcohol, it is extremely important that you not hesitate to locate and retain the legal assistance that of a knowledgeable, experienced Denver, Colorado DUI lawyer. Cases involving this type of crime are complex and carry life-altering consequences if they are mishandled or not given the fully attention that they deserve. Whether the accused is challenging a breath, blood, or field sobriety test, or you that there was no rightful legal basis or cause to pull the suspect automobile in the first place, the charge of DUI requires the representation of an aggressive defense attorney who has the experience to provide the tenacious legal footwork required to fight these charges. Law enforcement and prosecutors are zealous in their efforts to impose the strictest punishments possible. While most of them are honest in their efforts and have the best of intentions, it is a sad truth that some are simply overzealous, and will overstep their boundaries in their commitment to winning at all costs. If your rights have been violated or if you have been wrongfully accused by working with an experienced, aggressive and also i-importantly -seasoned and ntelligent lawyer, you can take the necessary steps towards protecting your rights and fighting for your future. A DUI (driving under the influence) arrest can be an extremely stressful event. The criminal court system alone can be very frightening and confusing for just about anyone – especially for those who have never been in trouble with the law before. In an instance, a person’s future can change. The best stance that anyone can take in order to protect their future would be to hire an experienced Colorado DUI lawyer immediately. and DUI with injury or death (Vehicular Assault or Vehicular Homicide). why you should hire a DUI attorney. By involving a DUI defense lawyer early on in your case investigation, you are able to have an advocate of your rights on your case and conducting an independent investigation. A good Colorado DUI Criminal Defense Lawyer must meticulously examine every part of the case starting with the initial police stop – continuing to the field sobriety tests – the DMV hearing, the Pre-trial Motions Hearing and ultimately ending at the trial. After the investigation, an aggressive criminal defense strategy should be mounted and taken to court to compel the charges be reduced or even dismissed. A person can face being arrested for DUI or DWAI if law enforcement has probable cause to believe that they have been operating a motor vehicle with a BAC (blood alcohol concentration) at or above 0.05%. If the accused has consumed, inhaled, smoked or injected any type of controlled substance (including illegal narcotics or prescription drugs in some cases) they also may face driving under the influence of drugs chargesâ€¦ DUID (Driving Under The Influence of Drugs). In order to prove that a driver was driving under the influence, law enforcement will turn to field sobriety tests and breath or blood tests. The officer’s own observations about the driver’s behavior and what the driver said at the time of the arrest may also be used to prove that a driver was drinking and driving. What is important for a driver to remember is that field sobriety tests are not mandatory. These tests, even when administered properly, are not accurate in proving that a driver is intoxicated or is under the influence of a drug. So, how can a defendant be convicted for DUI based on only sobriety test performance? This is one of many questions that a skilled Colorado DUI lawyer asks a jury at a DUI trial on their client’s behalf. Penalties for driving under the influence can be extremely harsh in California and every effort should be made to avoid them. Depending upon the offense itself as well as the driver’s prior record of DUI convictions (if any), a defendant facing DUI charges in Colorado may face imprisonment, heavy fines, driver’s license suspension, community service, alcohol education and therapy classes or drug treatment, and â€¦ of course â€¦ probation. Certain factors, such as a very high blood alcohol concentration, the presence of a child in the car at the time of the arrest or involvement in an auto accident, may increase the penalties that the defendant faces. At our firm, we offer outstanding legal advice, guidance and DUI resources to potential clients throughout Colorado. 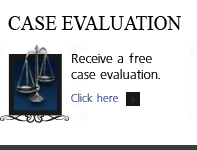 Please contact our law firm as soon as possible for a free case consultation. Whether the charge is a first time DUI or involves reckless homicide, The Colorado Steinberg Law Firm is well-versed in protecting and defending your rights. Anyone stopped with a blood alcohol content level BAC of .05% or more runs the risk of serious consequences should a conviction occur. 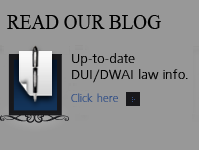 DUI – DWAI penalties can be quite severe, resulting in possible jail time, harsh fines, and license suspension. While many simply accept a guilty verdict and are convicted, this can lead to long term negative effects in your life, such as higher insurance rates, difficulty finding certain types of employment, and even in obtaining loans. A police officer patrolling the roads notices a driver who is driving erratically or who is violating a traffic law. The driver may be swerving, driving too slowly, speeding, driving recklessly or otherwise displaying behavior which may indicate intoxication or a person driving under the influence of drugs. The officer will pull the driver over to the side of the road. Upon pulling over the driver, the officer will ask to see license and registration information. At this time, the officer may also look for outward signs that indicate a driver may be DUI, such as bloodshot watery eyes or slurred speech. The officer may also ask the driver if he or she has been drinking, where he or she is going, etc. Depending on behavior observed at the initial police stop, the officer asks the driver to step outside of the vehicle to perform field sobriety tests. These are used to gauge a driver’s mental and physical abilities and may include the Walk and Turn, One Leg Stand or Horizontal Gaze Nystagmus. The driver’s performance on field sobriety tests as well as what he or she says or does will typically determine whether the police officer makes an arrest for DUIâ€¦. almost always ending in a DUI arrest. Why? because the standard for an arrest is only probable cause – the proof necessary for a conviction at trial – is proof beyond a reasonable doubt! After an arrest is when the officer will ask a driver to submit to a breath test or blood test in order to determine his or her blood alcohol concentration, and – after the test – or the refusal to take the test – criminal charges follow. There are many defenses that the firm can provide when taking on a DUI case. From the arrest all the way to trial, there are issues to be carefully addressed that can lead to a strong defense. An officer must have probable cause to pull someone over in the first place, and if it can be shown that this was not performed by the book, it could lead to a dismissal of the case. The Field Sobriety Tests – Inaccurate field sobriety checks being done or a breath test performed incorrectly can open the door to challenging evidence. It is the duty of one’s DUI defense attorney to seek and find all possible areas to dispute when mounting a compelling defense. The lawyer should be committed to fully representing your interests from the beginning of your case through to the end, attempting to obtain a reduction of charges or a dismissal whenever possible. Should your case go to trial, exoneration of the charges must be their only goal. Nobody expects to be pulled over and arrested for a DUI. Though it can be an extremely stressful situation at the time, you must never forget your constitutional rights. You have a legal right to speak with an attorney at ANY time but you must – if you are arrested – make the decision on whether to take the blood or breath test. You may always refuse to answer the officer’s non- routine questions that are unrelated to your driver’s license, registration and insurance or the blood and breath test – and it is in your best interests to exercise your rights. Most DUIs start the same way: the accused was either at a friend’s house or a bar/club having a good time. After slipping behind the wheel – minutes later red, blue and white lights are flashing in the rearview mirror. A squad car stops the car – does field sobriety tests then arrests the suspect and poses the option of taking either a blood or breath test. If you are charged with a DUI you may desperately looking for legal help. You may not have been legally intoxicated but may make errors that will end in life-altering penalties. After being charged with driving under the influence, most people feel very pressured and anxious about how this type of charge will affect their life. The majority of people feel ashamed after their arrest. 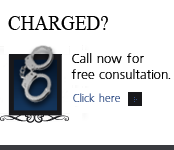 Being arrested and held is a very tough experience, but our firm is here to tell you that you are not alone. If you feel you need his representation and have the need to discuss your case right now with H. Michael please call his cell (720) 220-2277, otherwise call his office during normal business hours, or fill out the Contact form on this site. From his centralized and easy to find office just off I-25 and Arapahoe Road (the Denver Tech Center) Denver, Colorado, he represent clients throughout the Front Range of the State of Colorado. For aggressive representation and sound legal counsel, contact H. Michael Steinberg. Please fill out the short intake form or call us at (303) 627-7777. The DUI Law Office of H. Michael Steinberg serves the following communities: Arapahoe County, Arvada, Aurora, Brighton, Broomfield, Boulder, Castle Rock, Commerce City, CU Denver, Denver,Douglas County, Englewood, Golden, Jefferson County, Lakewood, Littleton, Longmont, Metro State College, Northglenn, Parker, University of Denver, Westminster, Wheat Ridge and throughout Metro Denver, Colorado. The information on this website is for general information purposes only. Nothing on this site should be taken as legal advice for any individual case or situation. This information on this website is not intended to create, and receipt or viewing of this information does not constitute, an attorney-client relationship by Colorado DUI Lawyer – H. Michael Steinberg.